Until May 2001 the Congregational Federation ran an appeal for funds to support a Church in Southern Albania. The church provides many services to the people of the town of Saranda. These services include a food voucher scheme, an adoption programme, and the running of a Christian bookshop and a small cafe, which are then managed by poor families who would otherwise have no employment or income. Each summer, the Church organises, mans and finances four camps, one each for the elderly, young adults, teenagers and children. 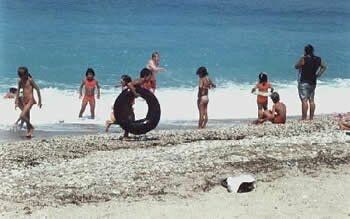 The camps are held at a secluded beach two hours north of Saranda. For the adults they provide an opportunity to explore the Bible and the Christian faith away from the demands of normal life. For the teenagers and children they give an opportunity to learn more about God, while enjoying a holiday away from home." During the Kosovo crisis in 1999, the Church of around fifty members cared for and fed approximately 3,000 refugees who had fled from Kosovo. The Greek Evangelical Church of Corfu, which originally established the Church in Saranda after the fall of Communism, was also involved in this huge operation. The Greek Church mortgaged its building in order to buy food, medicine and bed mattresses. The Congregational Federation has already raised and donated around £8,000 to the Churches in Corfu and Saranda. In November 1999, the Rev. 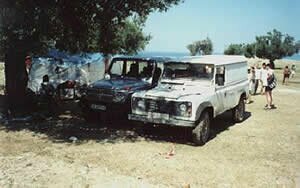 C. Gillham, Secretary of the Congregational Federation in Wales, drove a landrover, bought by the Gofrit organisation, from Wales to Albania. It is in use still, doing good work for the Church in Saranda.